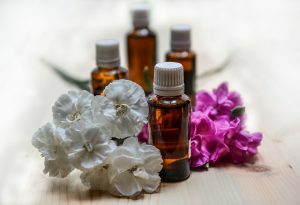 Essential oils are natures, natural healers inhaled or absorbed through the skin essential oils travel though the bloodstream to promote whole body healing. Extracted from plants, these wonderful oils have endured the test of time having been used in Aromatherapy for thousands of years to enhance health and well-being, the ability of these aromatic essential oils is now highly recognised. One of my personal favourites for relaxing and de-stressing is frankincense it helps to slow down the breath bringing feelings of calm, peace and relaxation, you’ll often find me burning frankincense in my therapy room to add an extra special element of relaxation to your treatment helping you to completely switch. This fabulous blend of grapefruit, jasmine and geranium will energise and revive both the body and mind, balancing the emotions and increase feelings of wellbeing helping you feel calm and uplifted. Restore and uplift your body and mind with a soothing blend of frankincense, Neroli and Orange helping you to erase symptoms of stress and feelings of anxiety. Reduce stress, relax and relieve tight tense muscles with a soothing, relaxing, warm compress of lavender, coriander and black pepper helping to relieve pain whilst easing and prevent spasms before letting your stress and tension melt away with a comforting, restoring massage of rosemary, marjoram and ginger. Unknot and relieve sore aching muscles with a warm ginger, Lavandin, and rosemary compress then relax as a blend of Plai, Lemongrass and black pepper are massaged in to your muscles to help to relieve pain and reduce inflammation whilst gently stimulating the circulation. Aromatherapy Full body massage I didn’t know what to expect but I was surprised. The best experience I have ever had, Anne-Marie was calm and serene, very smiley and happy put me at ease as soon as I saw her. Her touch whilst doing the massage was a wonderful experience, she has a heavenly touch, I felt completely relaxed and peaceful and when she had finished, I felt like I was floating on air. Can’t praise her enough well worth every penny and I look forward to my next one. Went in stressed and anxious came out relaxed, calm and peaceful. I would highly recommend her.